Business View Magazine interviews Tom Shull, President of Chattanooga Boiler & Tank Company, as part of our focus on steel fabrication companies. 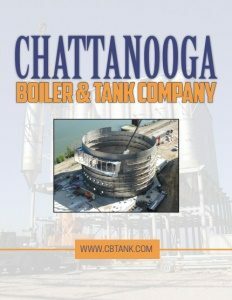 Chattanooga Boiler & Tank Company (CBT) was founded in 1905 to serve the boiler repair and vessel fabrication needs of the Tennessee Valley area of Tennessee, Georgia, and Alabama. 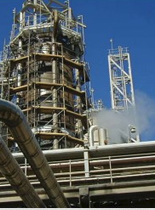 Although the company is still in the same location in Chattanooga, it no longer makes boilers, but rather designs and constructs both shop-fabricated and field-fabricated tanks, stacks, silos, and pressure vessels from stainless steel, carbon steel, aluminum, and exotic alloys. Its primary markets are the power, pulp and paper, chemical, metal and mining, water and wastewater, and oil and refining industries. Since 1987, the company has been owned by Williams Enterprises of Georgia. All of CBT’s products are custom-designed. “We have our own engineering department in Chattanooga,” says company President, Tom Shull. “We’ve also got about 50 shop craftsmen and 35-40 office support for our shop and field. The field division constructs large tanks and vessels that can’t be shipped over the road. We’ll fabricate the components here in smaller segments that can be shipped – 40,000 pounds of steel is about the maximum you can ship as long as it’s not over width or over length. We’ll ship it to the field and offload it with cranes and fully assemble it. The shop will fabricate the components that our field will assemble and they also build a complete fabricated vessel of the size that you can ship by truck or rail. 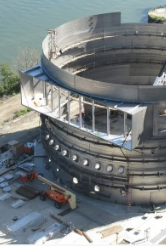 You can go to just about every state in the country and see a unique product that we’ve been involved with over the years.” In addition to new fabricated products, the company also has a well-regarded repair division and has performed extensive repair to scrubbers, coal silos, pressure vessels, and tanks throughout the country. 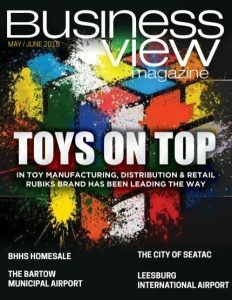 Check out this handpicked feature on Worldwide Supply – Seeing the new strategy through.